Mike's Custom Fences is Orange County's Horizontal Fence Company. Our goal is to make the boundaries of your home beautiful. Our Philosophy: At their core, fences define space. A fence creates the boundary between all of the hustle and bustle of the outside world and the peacefulness and warmth of your home. That outside space between your home and your fence is an important one: a place where you may build great memories during family barbecues or, perhaps, savor a few moments of stillness sipping a warm cup of coffee on a crisp morning. Whatever you do in that special space surrounded by your fence, our goal is to make the boundary beautiful. One that invites you to be outside. One that you show to neighbors and friends and are proud to call yours. Keep making memories. Keep being outside. And keep making the most of this wonderful world we get to call home. We are located on Santa Fe Street just north of Balboa Ave. 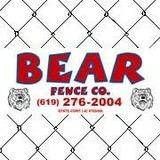 The Bear Fence company began in 1998 as a joint partnership between Jeff Behr and Chris Finlay. Together, we have over 26 years of experience building fences in San Diego County. Customer satisfaction is our #1 priority, and we believe, the reason for our enormous success. Serving San Diego County, the skilled team of Lemon Grove Ornamental Iron Works has extensive experience with projects of all types. Our business was founded on the principles of customer service and quality workmanship. You can count on us for superior results every time. 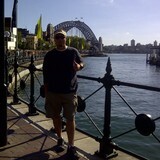 We look forward to assisting with your project. Please do not hesitate to contact us for additional information about our staff and our company. US Rollup Gates Repair Co Offers driveway gate repair, gate motor replacement and the best residential gate openers in California. 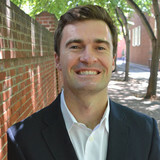 Santa Fe gate provider moves quickly for emergencies and offers the best gate service. Provides safe access through wrought iron gates. 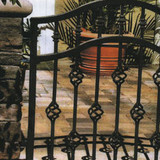 Oceanside gate provider excels in iron gate repair, sells great ornamental iron gates and installs intercom systems. The best in California. Enjoy a secure home with California's top gate contractor. The gate service of Bonsall gate provider is first class. Responds fast to emergencies. Specializes in wrought iron gates. Providing the best sliding gate safety sensor repair Chula Vista gate provider guarantees your safety. The fastest gate contractor in California. Specializes in all steel gate types. Escondido gate contractor provides excellent gate service and sells the best residential gate openers in California. It repairs and installs them and matches the best gate clicker. Your Del Mar, CA fence installation and repair professional will work with you to create your ideal fence. Find a fence contractor in Del Mar, CA on Houzz. Narrow your search in the Professionals section of the website to Del Mar, CA fence contractors. You can also look through Del Mar, CA photos to find examples of fencing and gates that you like, then contact the professional who worked on them.